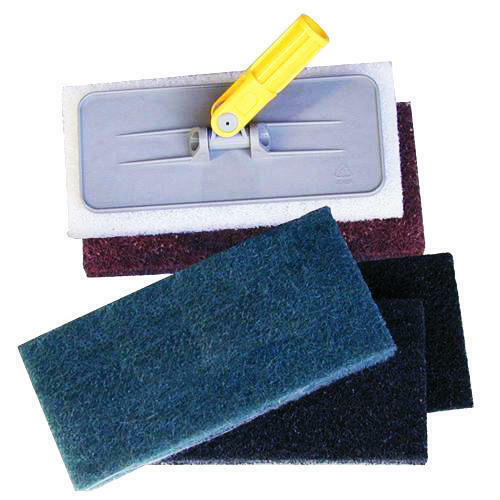 We offer high quality scrubber doodle for scrubbing walls, floors, cleaning kitchens and toilets. We, an ISO-9001 Certified Company with International CE & EN-840 Quality Certification offer high quality Professional Cleaning machines, Cleaning Tools, Garden & Agricultural Machines at most affordable prices. Established in 2009, we are Importers, Distributors & Wholesalers of high quality professional cleaning machines, cleaning tools, dustbin, cleaning chemical, brush cutter, grass cutting machine, electric lawn mower, petrol Lawn mower and chainsaw machines. We sell best quality machines and offer them to our clients at the most economical prices. With blessings of our clients, we have grown up as well reckoned suppliers of above machines and tools in India and we are helping our clients in cutting the cost of their cleanliness by providing best machines at most reasonable prices. NACS has come up as a famous brand known for its quality and performance. Our machines are manufactured with latest technology deploying top quality spares. We use only branded spares in our machines. Customer satisfaction and high quality are our motto. NACS, Honda Japan, Makita japan and LAVOR Italy are our national and international partners.